Here are some common air conditioning problems and what you can do about it. 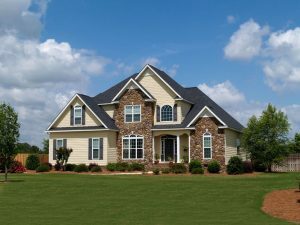 It’s important to note that there are some easy fixes you can handle at home and some should be left to professionals. If you are unsure about anything, don’t put your equipment and yourself at risk. 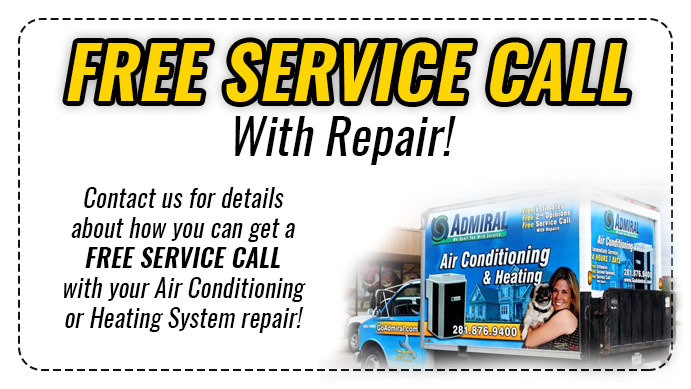 Don’t hesitate to call Go Admiral for a free service call with a repair at (281)-876-9400. Many HVAC issues begin with improper operation. Keep your doors and windows closed so that every room can be cooled properly. An underqualified technician could potentially give it poor service or install it incorrectly. This would not be your fault. If you have an issue like this, the best thing to do is contact a service provider and have your system brought up to equipment standards. Leaks are something your technician should take care of. Refrigerant will leak out due to being undercharged. An HVAC system will need to be repaired and charged with more refrigerant. This is the cooling agent that keeps your air conditioning icy. This can also become an environmental issue so keep your eyes peeled and get in touch with a service provider. Something you can do during humid seasons is checking your condensate drain to make sure it’s not clogged. This is another issue you cannot solve at home. If you hear a strange buzzing or your HVAC system smells like it’s burning, you need to have it repaired immediately. The wires and terminals are corroded over time and cause further issues. You don’t want to be caught by surprise if this dangerous problem arises. If a fire should start, it could be devastating to your home and family. If you knock the evaporative coil out of place, it can cause your thermostat to display the wrong temperature. You can adjust this by slightly bending the wire that holds the coil away from the sensor. Have a technician do this for you if you are uncertain about where it is. You could also inadvertently cause yourself more common air conditioning problems if you are unsure about what you’re doing. There are many more possible issues your HVAC system may have, and while some may seem like simple fixes, hiring someone for it is always best. If you have questions about your HVAC system, the qualified professionals at their Spring location can help. Call (281) 876-9400 for more information. 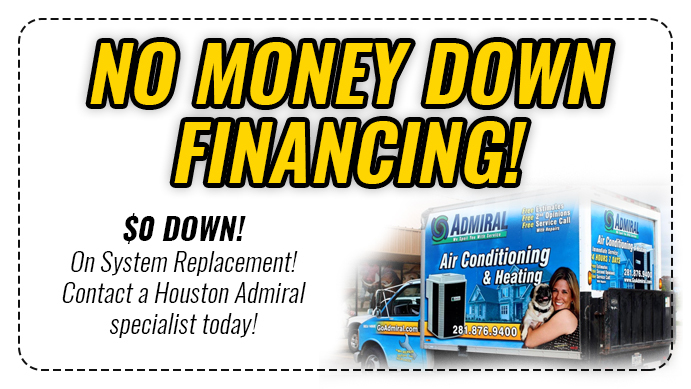 Go Admiral also has locations in Katy, The Woodlands, Tomball, and many more, which can all be seen on their website here. Houston, Texas, is their home. More information about this beautiful city can be found here.